McGraw-Hill Education. SPIRAL-BOUND. 0077738446 US Edition Textbook, May Have Highlights, Notes and/or Underlining, BOOK ONLY-NO ACCESS CODE, NO CD, Ships with Emailed Tracking from USA . Good. McGraw-Hill Education. CD-ROM. 1259350312 US Edition Textbook, May Have Highlights, Notes and/or Underlining, BOOK ONLY-NO ACCESS CODE, NO CD, Ships with Emailed Tracking from USA . Good. McGraw-Hill Education. CD-ROM. 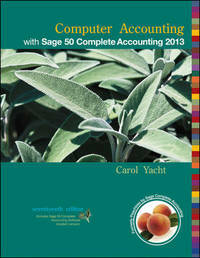 1259350312 New Textbook, Ships with Emailed Tracking from USA . New. McGraw-Hill Education. SPIRAL-BOUND. 1259620735 NEW TEXTBOOK, SHIPS WITH EMAILED TRACKING FROM USA . New. McGraw-Hill Education. SPIRAL-BOUND. 1260040828 US Edition Textbook, May Have Highlights, Notes and/or Underlining, BOOK ONLY-NO ACCESS CODE, NO CD, Ships with Emailed Tracking from USA . Good. McGraw-Hill/Irwin. SPIRAL-BOUND. 1259178714 NEW TEXTBOOK, SHIPS WITH EMAILED TRACKING FROM USA . New. McGraw-Hill Education. SPIRAL-BOUND. 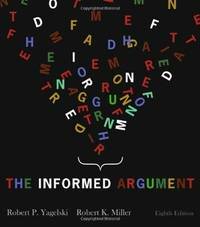 1259853705 New US Edition Textbook, Ships with Emailed Tracking from USA . New. McGraw-Hill Education. SPIRAL-BOUND. 1259853683 US Edition Textbook, May Have Highlights, Notes and/or Underlining, BOOK ONLY-NO ACCESS CODE, NO CD, Ships with Emailed Tracking from USA . Good. McGraw-Hill Education. SPIRAL-BOUND. 1259620735 US Edition Textbook, May Have Highlights, Notes and/or Underlining, BOOK ONLY-NO ACCESS CODE, NO CD, Ships with Emailed Tracking from USA . Good. McGraw-Hill Education. SPIRAL-BOUND. 1260239640 US Edition Textbook, May Have Highlights, Notes and/or Underlining, BOOK ONLY-NO ACCESS CODE, NO CD, Ships with Emailed Tracking from USA . Good. McGraw-Hill Education. SPIRAL-BOUND. 1259853705 US Edition Textbook, May Have Highlights, Notes and/or Underlining, BOOK ONLY-NO ACCESS CODE, NO CD, Ships with Emailed Tracking from USA . Good. McGraw-Hill/Irwin. SPIRAL-BOUND. 1259178714 US Edition Textbook, May Have Highlights, Notes and/or Underlining, BOOK ONLY-NO ACCESS CODE, NO CD, Ships with Emailed Tracking from USA . Good. McGraw-Hill Education. SPIRAL-BOUND. 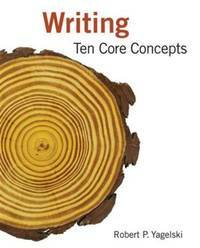 1260239640 NEW TEXTBOOK, SHIPS WITH EMAILED TRACKING FROM USA . New. McGraw-Hill Education. SPIRAL-BOUND. 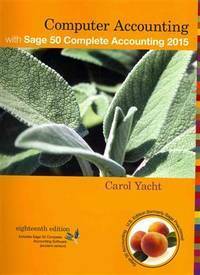 0077738446 New Textbook, Ships with Emailed Tracking from USA . New. Cengage Learning. PAPERBACK. 142826230X New US Edition Textbook, Ships with Emailed Tracking from USA . New. Cengage Learning. PAPERBACK. 0838457096 US Edition Textbook, May Have Highlights, Notes and/or Underlining, BOOK ONLY-NO ACCESS CODE, NO CD, Ships with Emailed Tracking from USA . Good. Cengage Learning. PAPERBACK. 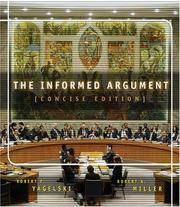 142826230X US Edition Textbook, May Have Highlights, Notes and/or Underlining, BOOK ONLY-NO ACCESS CODE, NO CD, Ships with Emailed Tracking from USA . Good. Cengage Learning. PAPERBACK. 0618919775 US Edition Textbook, May Have Highlights, Notes and/or Underlining, BOOK ONLY-NO ACCESS CODE, NO CD, Ships with Emailed Tracking from USA . Good. Cengage Learning. PAPERBACK. 1305956761 US Edition Textbook, May Have Highlights, Notes and/or Underlining, BOOK ONLY-NO ACCESS CODE, NO CD, Ships with Emailed Tracking from USA . Good. 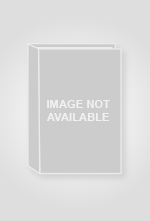 Yagle, Andrew E./ Ulaby, Fawwaz T.
NTS Press. Hardcover. 1934891169 New US Edition Textbook, Ships with Emailed Tracking from USA . New.